If you’ve ever ordered pizza delivery, you already know it’s important to be prepared and answer the door quickly once your pie arrives. 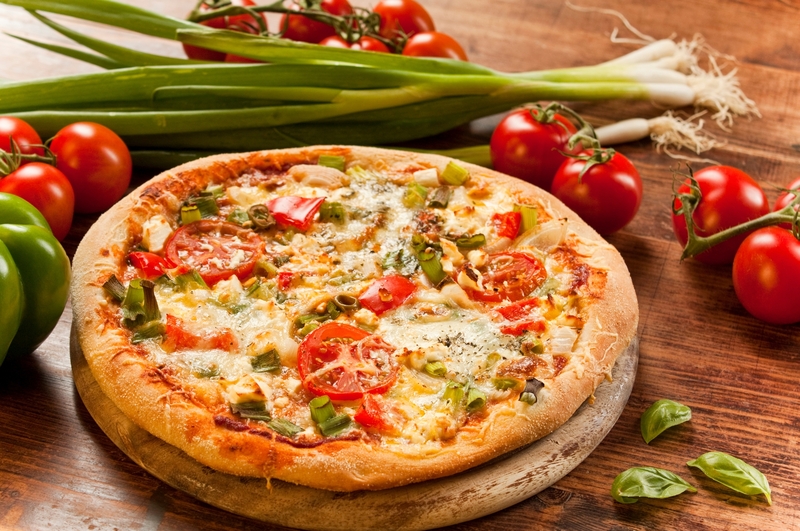 There are few other small things you can do to make pizza delivery even better. Take it from the experts: pizza delivery drivers. Follow their suggestions below to ensure the process goes as smoothly as possible. Pizza delivery is convenient when you’re too busy to cook, but avoid ordering a delivered pizza if you need your food immediately. Pizza delivery drivers have many talents, but they can’t bend the laws of time and space. While they’re always hustling to get you your pizza as quickly as possible, their arrival times can be impacted by traffic, accidents, weather conditions, and a busy restaurant at peak hours. If you know you’ll need pizza by a particular time, it’s wise to place your order well in advance. House numbers can be difficult to see at night, so be sure to leave your outside light on so your driver can locate your house easily. In the winter, make sure your driveway is salted and shoveled to minimize the risk of a dropped pizza (or an injured delivery person). If you live in an apartment complex, provide your apartment number and door code, if applicable, so your pizza delivery driver doesn’t have to spend time searching the directory for your name. Remember: the easier it is for your driver to locate you, the faster a hot, fresh-from-the-oven slice will be on your plate. Pizza delivery drivers are people, too. They work hard just like you to earn money for school, rent, and food. Customers sometimes treat them poorly, though they never intend to make mistakes. Show your driver your appreciation by saying thank you and giving an appropriate tip. For rapid pizza delivery, quality ingredients, and top-notch service, contact Colombini’s Pizza & Deli in Rochester, NY. For 35 years, this family-owned pizzeria has served homemade pizza, chicken wings, and other delectable delights for dine-in and delivery to residents of Monroe County and neighboring communities. They also offer catering services for every occasion. Give them a call at (585) 889-2213 to speak to a member of their staff seven days a week. You can also visit them online to explore their menu.